Bingo is one of the easiest casino games you can enjoy, thanks to its simplistic structure. The game of bingo has always brought people together, whether it’s through social interaction, competitive endeavour, or the pursuit of something great, the game of bingo has always been around. I will cover all the important social, historical, and statistical information surrounding the game and chart bingo from its roots in history to making comparisons between the traditional and modern platforms. This guide will provide every relevant turning point and stat so that you can understand how the game of bingo evolved into its modern state. The history surrounding bingo is not as easy to detail as one might think. It is littered with several inconsistencies and vague accounts, and then there’s the question of when the game came into existence? Gambling has been a pastime activity for thousands of years and all these ‘games of chance’ have gradually developed over time. 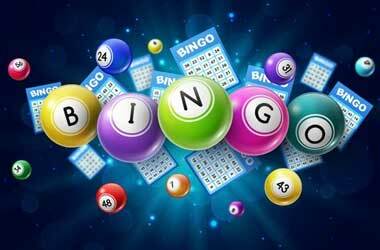 In this section of the article, we will plot a course from the origin of bingo and work our way through to its current state as well as outline the major turning points that assisted the game of bingo in becoming an international game. Traditional bingo literature traced the origins of the game as far back as 1530. The first lottery in the world, known as Lo Giuoco del Lotto D’Italia, loosely translating to ‘The game of lotto in Italy,’ is the earliest form of bingo and was traditionally enjoyed every Sunday. It was the game’s core elements that were preferred by the masses across Europe where it later spawned into a variety of variations across Germany and France. 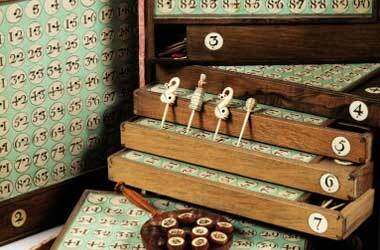 Structurally, the first lottery game in Italy operated in much the same way as modern lottery. Players had to select a set of numbers where another set of numbers were drawn from a drum. The player who had the most hits or numbers would be the winner. From this, the seeds of bingo quickly spread across France during the 17th century where it was renamed and reformed into Le Lotto. In 1778, a game was developed for the Aristocracy called Le Lotto. The game took aspects of the popular lottery game developed in Italy and infused it with game cards. The format of the game card consisted of nine vertical rows, three horizontal rows, and five unique numbers. During a game of Le Lotto, wooden chips would be drawn from a drum and the first player to completely cover a horizontal line was declared the winner. During the 18th century, Le Lotto was already starting to resemble the bingo game played and enjoyed across the globe today. The game of Le Lotto also formed another incarnation that started to take shape during the 19th century in Germany. German academics initially started working on the game of bingo as an educational tool during the 1880’s when they noticed the immense popularity of the game among the French intelligentsia. They developed a tombola-styled structure and was primarily utilised to assist children in improving their spelling and math skills. Much like Le Lotto, this tombola-style game offered players a game card that contained a selection of letters or numbers printed on the card. Utilising a tombola drum, tiles were drawn by the master of ceremonies and the first player to spell out a certain word or cover a set amount of numbers would be declared the winner. As Germany’s tombola and the French Le Lotto games started to proliferate and grow in popularity across Europe, the next milestone in the evolution of bingo came into existence courtesy of Hugh J. Ward during the 20th century. During the 1920’s, Hugh J. Ward was travelling through Europe and stumbled upon the game of bingo. He wrote down the main structure of the game and began developing his very own version for carnivals across the United States. 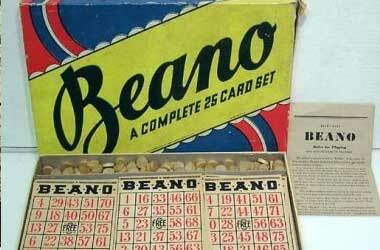 He initially called the game ‘beano‘, as dried beans were used to mark the numbers. The game operated in much the same way as Le Lotto where the first player completely covering their game card shouted beano and was declared the winner. The game quickly spread across the United States, and the word beano was bastardised with records indicating that the word bingo was formulated through a simple slip of the tongue in the 1920’s. It was during the same period where the game was mass produced by a toy salesman known as Edwin S. Lowe. He spotted the game at the 1929 carnival and worked with Carl Leffler, who was a math professor at Columbia University, to create 6,000 different card combinations, all featuring an equal opportunity to win a single game. After this, Edwin S. Lowe copyrighted the word ‘bingo’ during 1930 giving birth to modern bingo. In 1933, he introduced the official rule book for bingo that helped standardise the game of bingo around the world. Bingo became a massive hit in the United States, and by the mid-1930’s it was estimated that over 10,000 games were played every single week. This participation level raised millions of dollars, encouraging charities and churches to utilise bingo as a way of raising funds. By 1940, the game of bingo was considered a revenue generator instead of an educational tool, as well as a source of entertainment. In 1945, with the end of World War II, it was utilised by local councils to boost morale and to repair Britain. During the 1960’s and onwards, live bingo was at its peak in the United Kingdom. Rates of participation across a network with well over 1,000 bingo halls managed to top a million players per month and revenue ascended. Apart from thriving success in terms of participation in the UK, the bingo industry also managed to become a major employer during the 1970’s and through the 1980’s. When British bingo was at its peak, more than 20,000 employees were employed in the United Kingdom. Unfortunately, rates of participation gradually decreased, and the UK Bingo Association claimed that the number of bingo halls active across the country dropped to lower than 400. 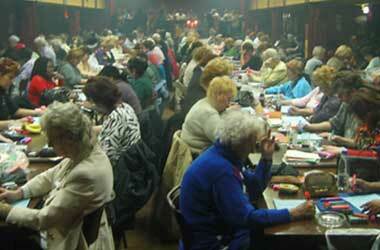 Furthermore, the number of employees in the bingo industry also decreased to less than 12,000. However, the reduction in land-based bingo activity, fortunately, coincided with the rise of bingo online. Although bingo started taking shape as a virtual game as early as 1996, it was not until the iGaming industry grew in popularity that bingo finally managed to thrive. The first platform that launched in the United Kingdom was Cyberbingo.com, and from this base, several other operators managed to join the virtual realm. The next exciting jump in the development of online bingo was in 2011 courtesy of Facebook. After introducing a collection of free-to-play bingo apps, the game began to reach more homes, sparking a boom with real-money players in the online bingo industry. Today, the online bingo industry is worth a staggering £80 million per annum in the United Kingdom and a further £58 million in the United States. Online bingo participation rates have skyrocketed since 2008, jumping from 50,000 to well over 3 million, where each player spends an average of £120 per month. The main reason for this explosion in the online bingo industry is due to ease of access. Recent Bingo polls state that 75% of players much rather prefer online bingo as oppose to live bingo due to its simplicity. Furthermore, the increased number of games, including jackpot prizes and unique game formats such as speed bingo, makes online bingo a far more lucrative proposition for bingo players. Players now have the option to enjoy bingo at home or on their mobile devices from anywhere in the world, and it’s this variety that ultimately allowed the game to reach new demographics and flourish as one of the most exciting and popular online games across Europe. Once bingo halls began spreading across the United Kingdom during the 1960’s, a sophisticated industry was born with several operators offering weekly games that boasted huge prizes. The game of bingo quickly became an exciting pastime activity in the United Kingdom and the United States. The final result of this development was a workable industry capable of serving millions of bingo players on a yearly basis. 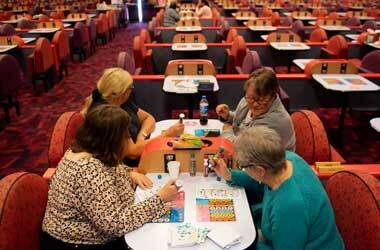 Land-based bingo now occurs in dedicated venues spread across Europe, UK, and the United States. Although players can play the game in major bingo halls, there are also smaller venues available in community centres or open-air venues in several locations where the weather permits. When talking a stroll through a traditional bingo hall, there are three primary elements that can be found, including the caller’s stage, the gaming floor, and the cashier’s desk. Looking at it from an entertainment perspective, you can agree that the depth to this version of bingo is impossible to replicate in the online arena. Especially with hundreds of players surrounding you, all tangibly aiming for the prize and creating a buzz that makes each bingo game more exhilarating. This level of interaction on the internet is extremely hard to replicate as it’s impossible to physically see the opposition. Although there have been provisions made to generate some form of interaction between bingo players, the primary focus of online bingo is efficiency and speed. From purchasing a ticket to cashing out your winnings, enjoying a game of bingo online is far more efficient and convenient. From playing at home on your laptop to standing at the bus stop, enjoying a quick game on your mobile device, online bingo can be played at anytime from anywhere in the world, opening the doors for bingo to serve a much wider demographic. It is common to find two bingo formats in land-based bingo arena’s, including 75-ball bingo and 90-ball bingo. Although speed rounds are normally hosted in between their main games at most bingo halls, the variant will always be one of the options mentioned above. Due to online bingo attempting to replicate the nuances of land-based bingo halls, both 75-ball and 90-ball bingo are available online. However, iGaming operators are not confined by staffing considerations, cost, or space, and therefore they offer more options online. Most players in land-based bingo halls are there to enjoy an evening of entertainment, and this means the operators are required to balance timing and speed to ensure every player feels like they are receiving maximum value. In contrast, besides 75-ball and 90-ball bingo, online bingo purely focuses on speed where online players can quickly go in and out of the action in a matter of seconds. If online players wish to enjoy an evening of playing bingo, they can play a new game every 30 seconds. The contrast in cultures have provided online operators the opportunity to offer even shorter bingo variants such as 50-ball bingo and even 30-ball bingo. Furthermore, there are also plenty of unique variations of bingo available online, including SNAP, utilising playing cards instead of numbered balls, providing a completely different dimension to the bingo industry. Spending a night in a land-based bingo hall will cost you an average of £20, including drinks, food, and game tickets. However, online bingo operators have much lower staffing cost and space, and with the reduced overheads they can provide games at a far lower price as well. Although there are bingo games that can cost just as much as land-based bingo games, normally around £5, the average price for a game ticket online is around £1. The lower price in tickets are partly due to games only costing £0.05. Furthermore, online Bingo also gives you the option to play for free where new players can enjoy a selection of free bingo games. Each bingo hall offers its own bingo games along with a range of jackpots. The jackpots are determined by the amount buy-ins collected from players, greatly fluctuating the prizes in every land-based bingo hall and bingo being played online. The largest bingo game in the United Kingdom is the national bingo game that occurs every Friday, Saturday, and Sunday. This bingo game links players from across the country via a telephone system. This set-up results in prizes being much larger due to an increase in participation. As per the rules of the national bingo game, the top prize cannot exceed more than £25,000. However, the jackpot prize can reach a staggering £250,000. The jackpot prizes in an online bingo environment can be much higher. Although there is a massive network of guaranteed prizes, the biggest attraction for most players is the progressive jackpot games. Online bingo operators utilise a system much like online progressive slots where a progressive jackpot game accumulates a small percentage of every player’s buy-in and contributes it to the communal jackpot. For instance, if a game ticket will cost £1 where the online operator will take a total of 10% that will be added to the progressive jackpot. Thousands of bingo players along with their buy-ins are added to the jackpot every hour under this system and the result is a jackpot that exponentially grows, reaching hundreds of thousands and, often, millions of pounds. With the introduction of bingo, strategy took a backseat as bingo is more a social game where entertainment is the primary focus. Because of the dynamics, locations, and relatively small prize pools offered at bingo halls; players were not focused on strategy. However, with the inception of online bingo becoming such a popular game and bringing a new demographic into the online gaming industry, there has been more focused placed on strategy over the last couple of years. In fact, due to online bingo allowing players to play more games and win larger prizes, players of all skill levels are now concentrating on ways to boost their overall chances at winning a game of bingo. One of the most crucial skills required as a bingo player is to master the art of bankroll management. This means, as a player, you will need to establish a set of rules that will govern the amount you spend on bingo activities. More specifically, a player shouldn’t risk more than 3% of his/her bankroll on a single bingo session. For instance, if a player’s bankroll is worth £1,000, they should not wager more than £30 on a single session. Deciding on the correct game to suit your unique playing style is also very important. Browsing through the game varieties in the online bingo industry, you will quickly notice that there are all shapes and sizes available to choose from. The choice can sometimes be overwhelming for a newcomer and therefore a fantastic way to decide the correct game is to locate one with an entry fee of around 10% of a daily bankroll. Taking the bankroll management example into consideration, a player should look for bingo games that cost around £3. Even though online bingo sites automatically mark off numbers on a player’s game ticket, it is still beneficial to focus when deciding to play bingo and this does not necessarily mean when the game gets underway. The focus lies with choosing the correct game, checking numbers, selecting numbers, and counting prize money, all of which requires a certain degree of attention and focus. Another fantastic way of improving the chances of winning in the world of bingo is to buy more game cards than the average player. The dynamics behind bingo is that one player must win in a game of bingo. Therefore, the more tickets you buy, the greater your chances will be at winning, but this can only be true when you are buying more tickets than the amount purchased by an average player. For instance, if 100 players all purchased two tickets each then every player has a 2% chance of winning the game. So, if you purchase more than two tickets, it should ultimately improve your chances of claiming the winning prize. Online bingo is designed in such a way that you can play multiple bingo games at once. 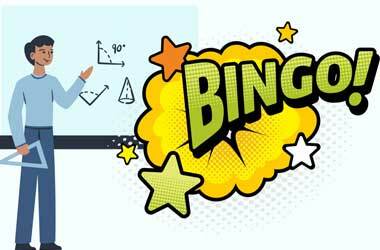 This dynamic to bingo offers a player the chance to increase the hourly win rate by simply adding more bingo games to the current game session. For instance, if an experienced bingo player manages to win £10 every hour by playing two games at once, the player can theoretically increase this to £20 every hour by simply adding two additional games. It is important to note, however, that you can diminish returns with this type of strategy. If there are too many games added in one session, focus will ultimately be lost, resulting in a loose rate instead of a win rate. Are their differences in bingo cards around the world? Bingo cards are different in the UK and Australia when compared to bingo cards in the United States. If you decide to play Australian or British Bingo: The goal is to complete one, two, or three lines on your bingo card. These bingo cards consist of three by nine squares. Every square will have a number on it and will be generated at random. There is a total of 90 balls, each with a number being selected by the caller. However, should you decide to play American Bingo: The goal is to fill five squares in a horizontal, vertical, or diagonal row. These bingo cards consist of five rows by five rows with a letter forming the word BINGO written above every vertical row. There is a total of 75 balls with either a letter from the word BINGO and a number on them. Yes, if the bingo site is licensed by a EU or UK regulated jurisdiction such as Alderney and Malta. How old do I need to be to play bingo? Yes, all bingo games use a random number generator to draw each ball and all bingo sites are regularly tested for fairness by third-party auditors.